a little bit about your project here! The Initial Design phase is how we launch our process. Eric will be your principal designer during this phase. Site feasibility: We discuss potential design options with the appropriate planning department (eg: city of Boulder, Boulder County). We’ll also analyze costs for 3rd party surveyors if necessary. Floorplans and 3D views: We will take meticulous measurements of your existing home and build your house with our design software. Then we begin designing your new updated house. Take a look at our past work for inspiration for your project. We will create 3 or 4 viable concepts for your home. These plans will include floorplans, 3D renderings, and rooflines. Budgeting: One of our key goals during this phase is to empower you to make decisions regarding overall scope and investment for your project. We provide approximate costs associated with our different design concepts. Cost: This phase generally costs $2,500 - $3,500, depending on project scope. Our goal is to take the Initial Design concepts and congeal them into our final plan. 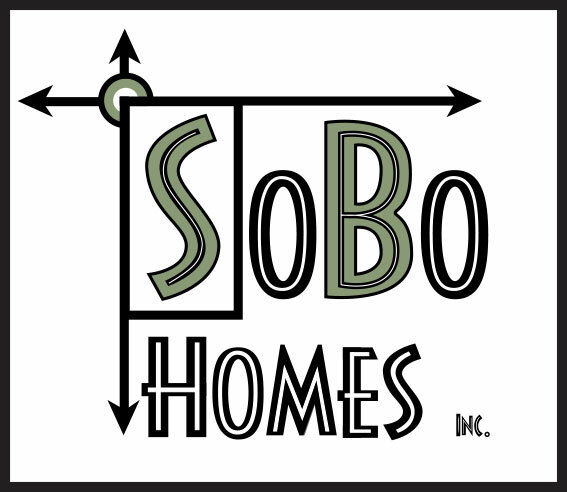 SoBo Design Services: This is an iterative process that is coordinated by Mike. He will be your principal designer and will meet with you weekly for about 4 or 5 weeks. During this time, you will also work with Mason, our production manager, to develop the budget and project specifications. We will also ensure that our design fits within the permitting constraints of the relevant jurisdiction (eg- City of Boulder, Boulder County). Examples of permitting constraints are the City of Boulder's compatible development requirements for additions and poptops. Communication Tools: As the design develops, we will invite you to join a powerful online software tool called Co-Construct. This helps us organize all aspects of the job. It tracks our communications, sorts our selection items, displays the budget, and keeps track of the schedule. We also catalog all of the drawings, documents, and photos relevant to your project. Please check out www.co-construct.com for more insight. Depending on your scope of work, additional services include: soils testing, hazardous material testing, energy conservation mandates, and surveying. We work through the pricing and specifications of your project in this phase. Mike and Mason will meet with you and our trade partners to finalize drawings and project details. Sub Party: We collaborate with trade partners about your project to get final pricing on major components of your project. MEP Design: The detailed specifics of mechanical, electrical, and plumbing involved in your project will be planned out and designed. Systems Review: The goal at the end of this step is to have a holistic plan for your entire project, for everything from insulation to energy efficiency. By the end of this step, you will have final specifications, an allowance list, final budget, and a final planset. This step begins when you sign the construction contract. It is meant to prepare everyone for the start of your project. Permitting and Engineering: While we continue to finalize design details, we will procure all necessary building permits for your project. This includes collaborating with a state licensed structural engineer as needed. We are a full service construction company. We perform all phases of construction, from excavation and foundation/site work, to custom interior finishes. Operations: Every job is assigned to one of our 2 Project Managers. He will set up weekly meetings with you during construction. Mike will also join all the meetings up to drywall completion. Eric will join the meetings from drywall to project completion. You will be in constant contact with at least one of the principles of the company throughout the entire process. SoBo’s Paperless Process: All change orders, all invoicing, and all other paperwork during construction is managed online via co-construct. You will have access to everything. Caliber of Work: Please peruse our Idea Gallery and our Facebook page to get a better understanding of our commitment to quality. Your Warranty: We provide you with a 2-year comprehensive Warranty upon job completion. Fixed-Price Construction Contract: All of our projects use a fixed price framework. We have found several major advantages to this. 1. All of the hard decisions must be made before construction begins. 2. It mitigates stress around money during construction. 3. Since all the details have been decided, we can build your house faster and more efficiently.